ocean acidification and extreme weather. 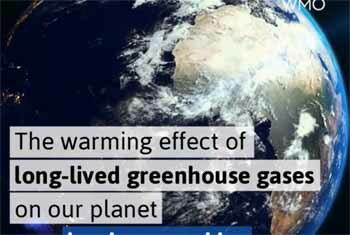 The WMO Greenhouse Gas Bulletin reports specifically on atmospheric concentrations of greenhouse gases, which are what remains in the atmosphere, following a complex process of emissions and absorption. ← Précédent Actress Millie Bobby Brown was appointed the youngest United Nations Children’s Fund Goodwill Ambassador.